The conference or assembly room functions in many ways, both as a formal and informal space depending on when and how it is utilised. From client presentations to internal meetings and training sessions, they are a great way to create a highly functioning and alternative space within the workplace. With varying office sizes and requirements, comes a wide range of choices so here we have taken five popular ideas and presented suitable options to recreate the look with top picks the Spaceist seating ranges. 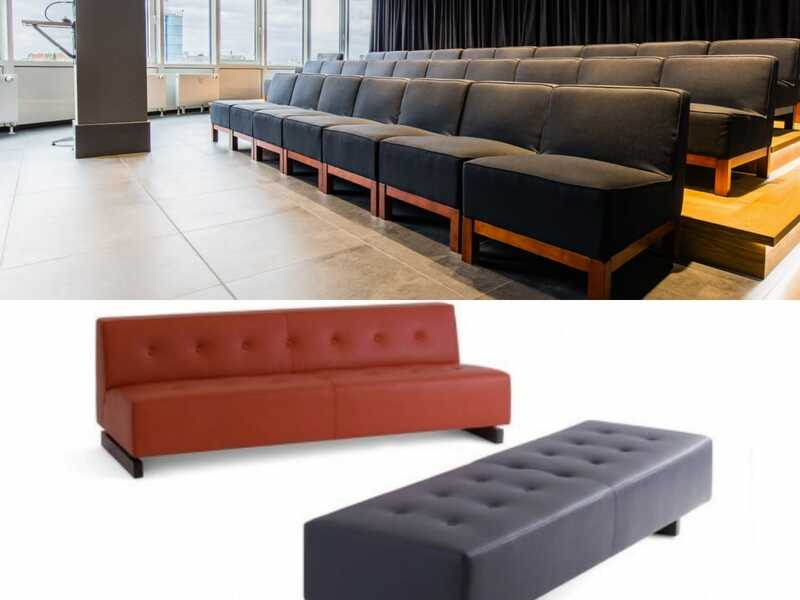 Created to add a space for presentations, staff meetings and even for relaxation, the amphitheatre is an ideal style of assembly room seating layout for large companies. 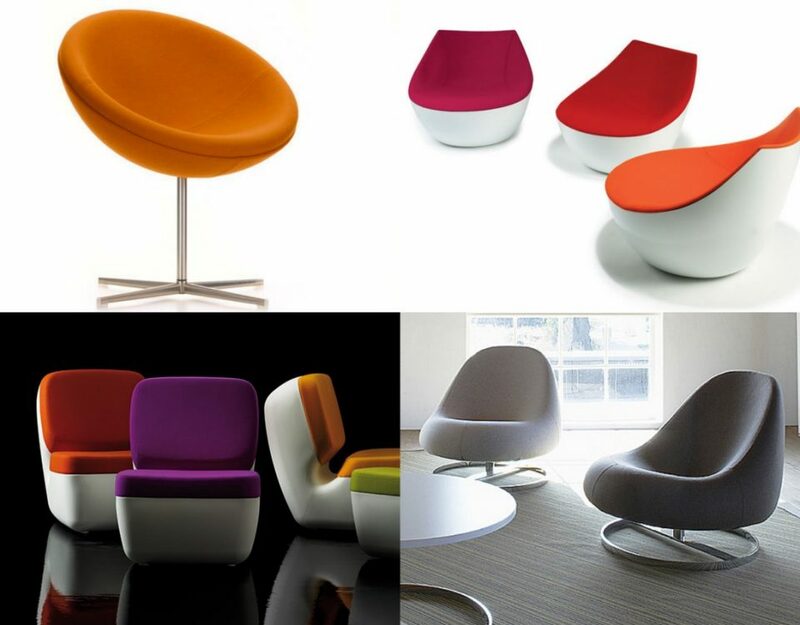 The semi-circle form adds an intimacy to this large space, whilst the comfortable soft seating encourages staff to relax and even make use of the space when a meeting or conference is not taking place. The 77 Modular sofa range comes with angular elements making it possible to combine a range of sizes and form a semi-circle amphitheatre setting. Each element can be specified in various fabric or vinyl upholstery colours, and placed on layered plinths to create the effect at the Bluesky offices. 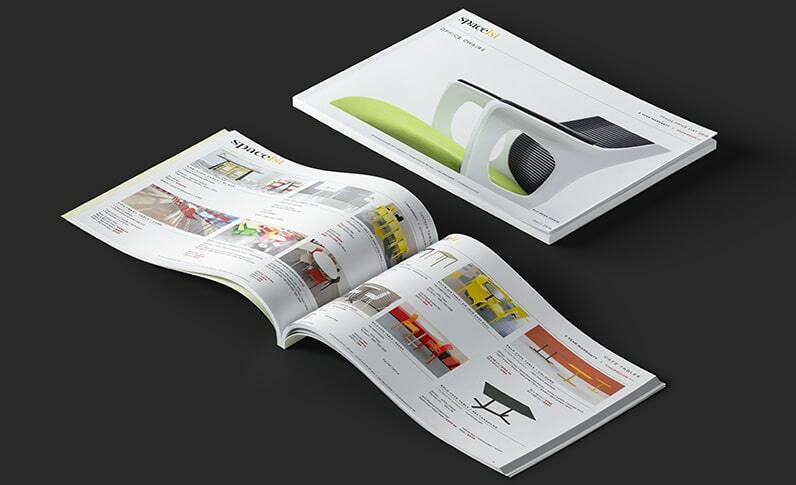 Highly durable and adaptable, they offer a great option for creating various spatial layouts with a large variety of customisation options. In order to maintain a visually clean and easy to navigate workplace, the Berlin offices of Groupon have been organised with the application of varying colour schemes to mark the function of each area. The assembly room here is very classical, with stackable chairs making it easy to re-dress the room for different types of meetings and gatherings. The basic layout works as a great space for meetings, conferences and group based activities. 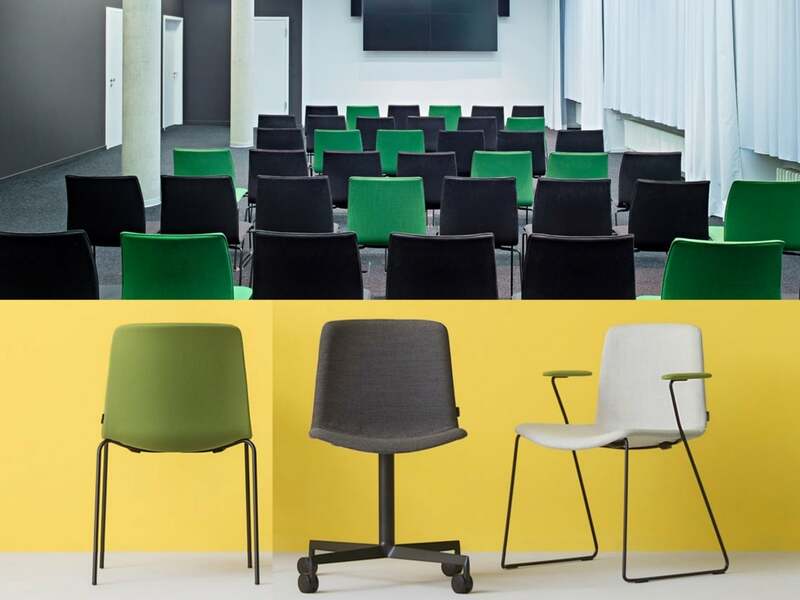 With a subtle curved seat and back rest, comfortable and elegant soft-padding and three base options to choose from, the Weet chair is an ideal solution for office conference and assembly spaces and rooms. It comes with a four leg base, cantilever option or star base with castors and is both lightweight and robust for daily use in the office environment. The soft padded seats comes in a range of modern shades to help create a stylish and smart space. 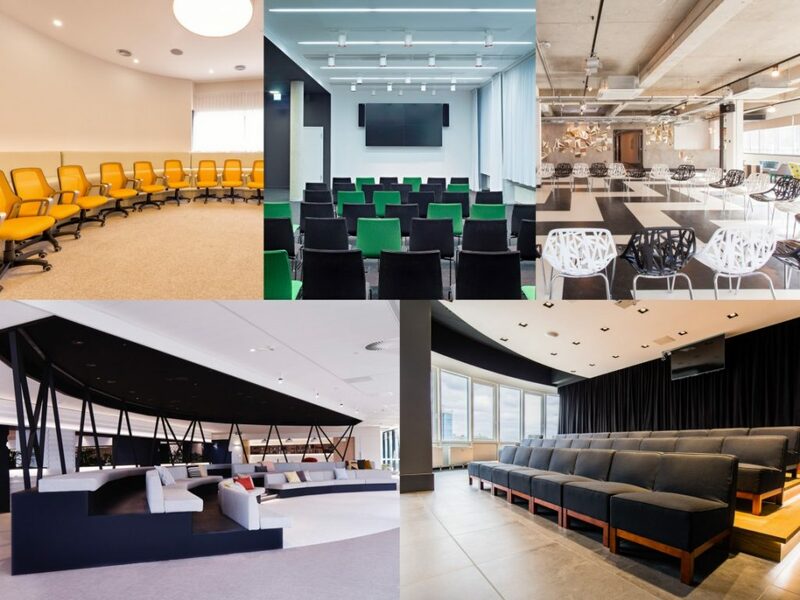 A coworking space based in Shoreditch, East London, the internal space has been kept very much open with a range of hot desks, private offices and a communal kitchen to serve the many start-ups and small businesses who operate from here. In order to maintain the large open space that is available at the rear of the building, it has been turned into an open event space for users or others to book. With space for over 250 people, this area allows a multitude of uses from formal conferences and meetings to over informal events. For a versatile space, it is key the furnishings do not necessarily present an ‘office’ form and allow the users to work with the space as per each use. 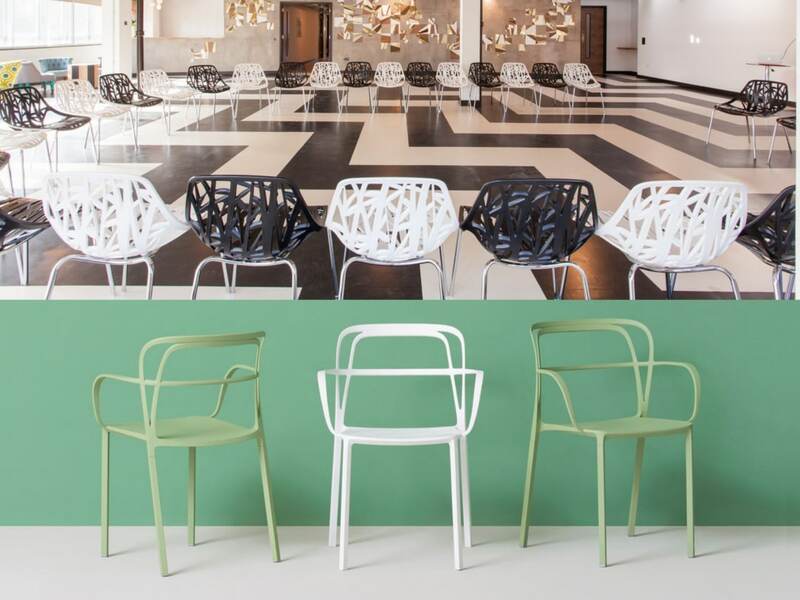 Crafted to form a seamless combination of lines and curves, the Intrigo chair is a stunning option for modern conference and assembly spaces. The elegant curves of the back and arm rest are made from a robust aluminium with a slimline design that allows the lightweight qualities of the chair to remain. 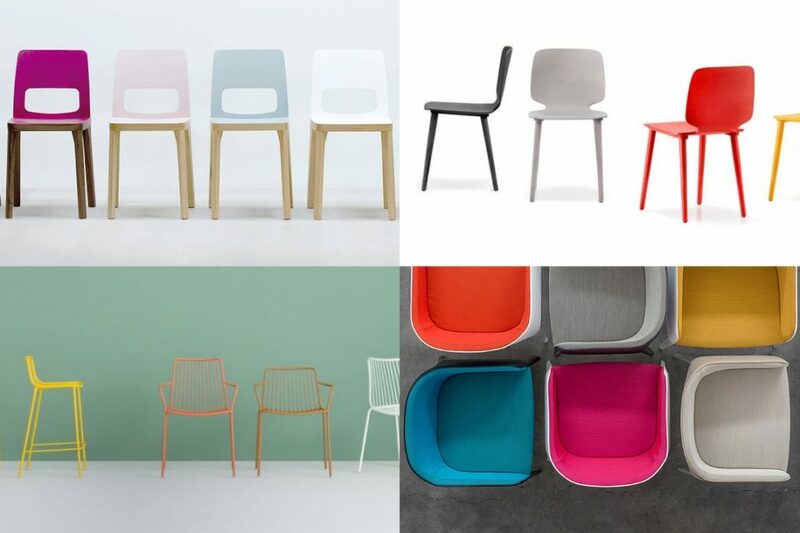 Select from nine shades to complement bold or contemporary spaces. 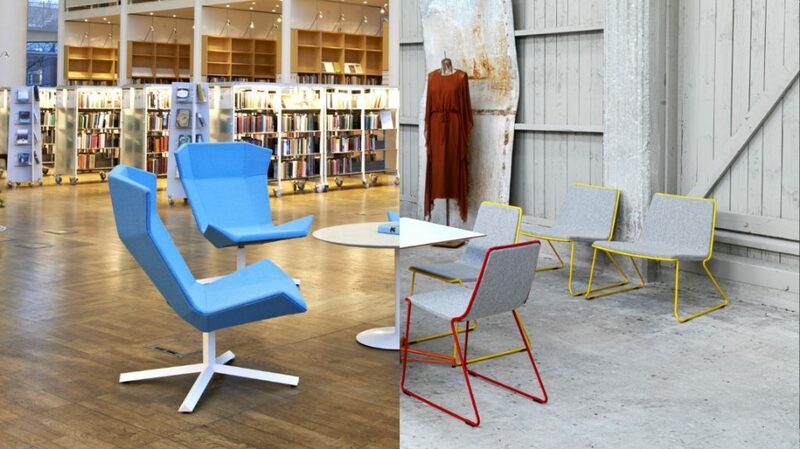 Further qualities that make the Intrigo chair ideal is it can be stacked up to 10 chairs high. A very home-like atmosphere has been created at the offices of this diet guru company, with inspiration taken from Italian streetscapes and interior design. To maintain a professional yet connected feel, the small assembly room is set in a small circle or amphitheatre-style layout where every user has eye contact with the other. 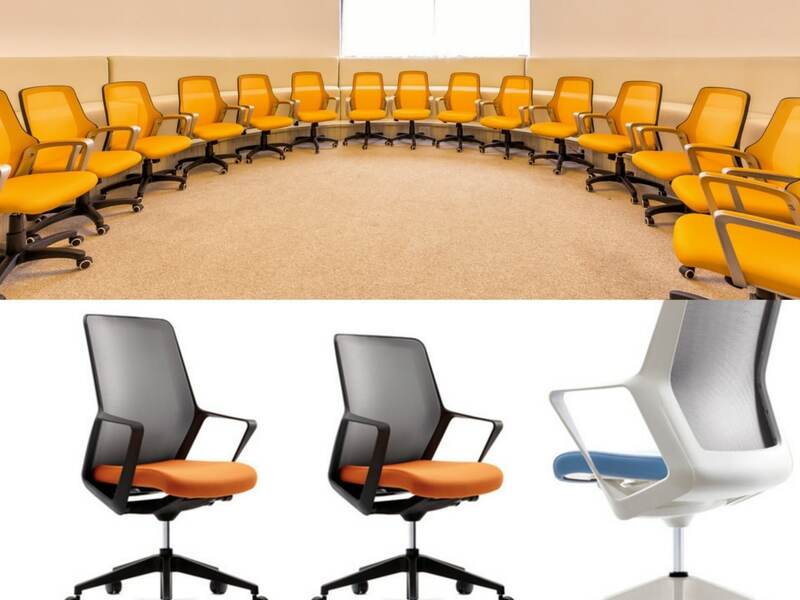 A space used for training, meetings and collaborative sessions, the choice of task chairs allows users ergonomic support during long periods within the room and also means the chairs to be easily moved around if need be. 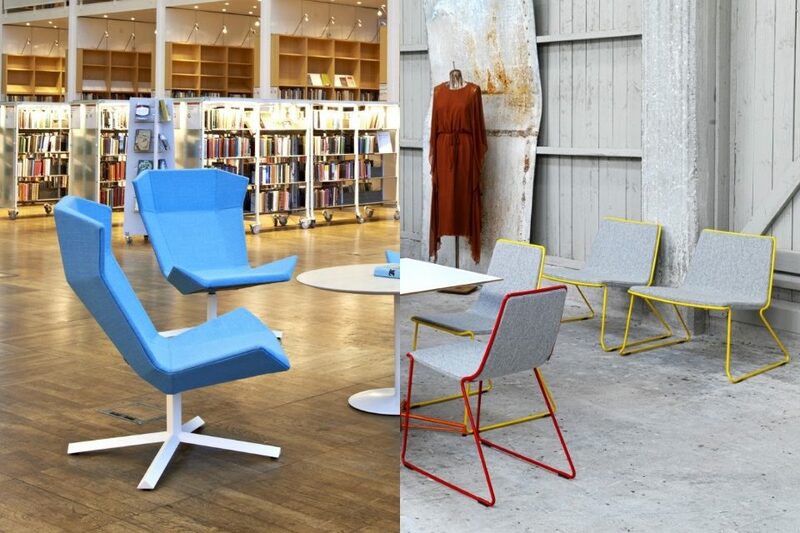 The Flow chair comes with a breathable and elastic mesh that wraps the user comfortably and provides superb support over a large contact area, ideal for long term user comfort. It chair comes with height adjustment, tilt mechanism and tension control making it further suited for this use. 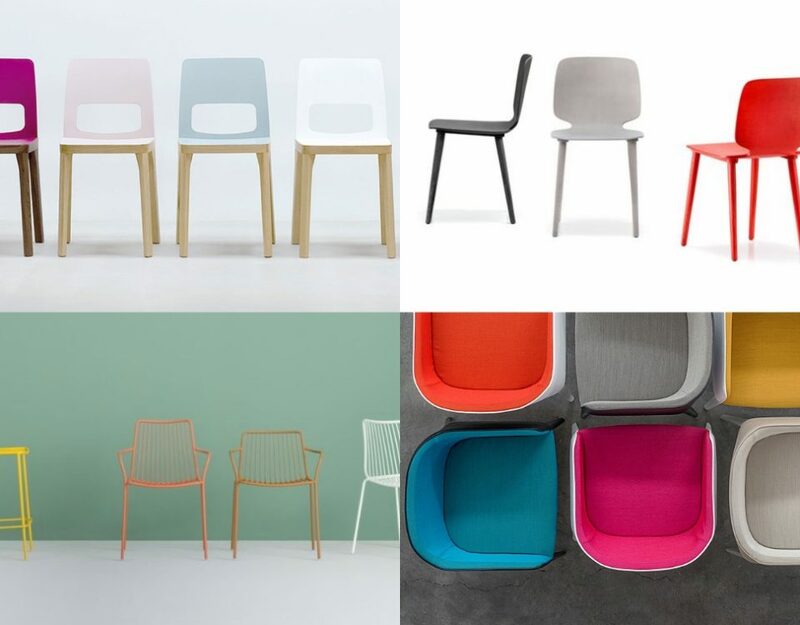 The fabric seat comes in a selection of bright options and for further customisation, choose from either a black or white frame to complete the look. To create a flexible and dynamic workplace that would encourage the staff to move around, interact with other groups and use each area of the workplace, this office layout has been designed to offer an optimal working environment. 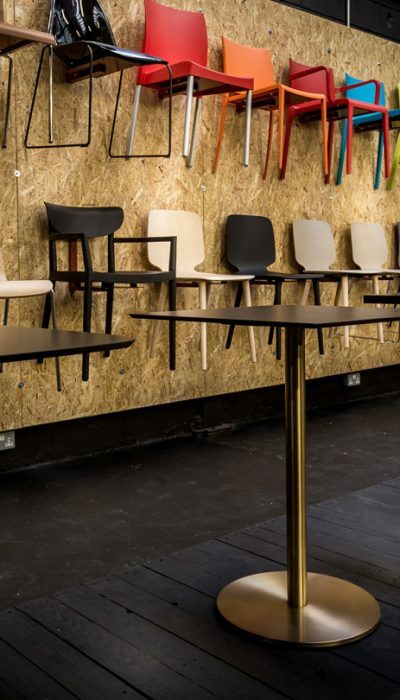 From sitting desks to standing, high bar stools to cafe style tables and chairs, the entire space is open and fluid for staff to utilise. 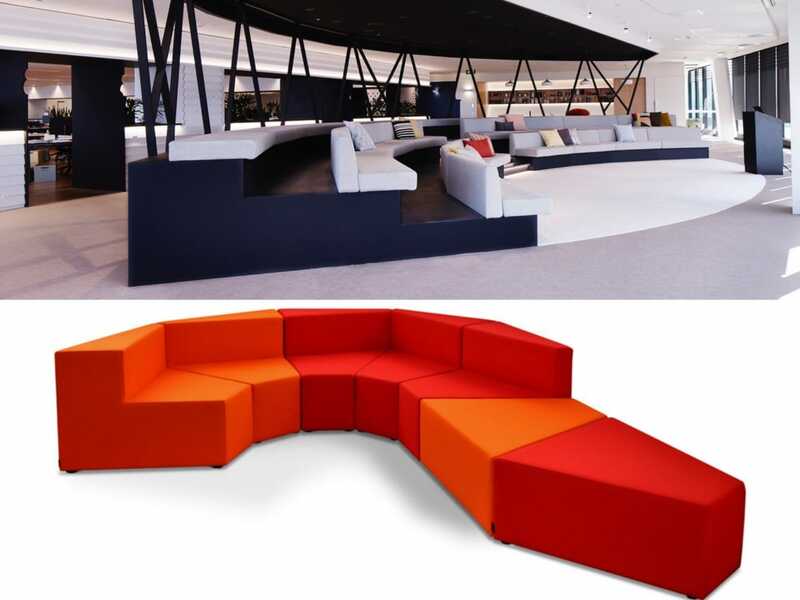 Further seating comes in the form of the tiered theatre style seating forming a conference and meeting space, but also another space for staff to lounge and work from if required. Recreate a highly comfortable theatre style seating area with the Forty-six sofa, characterised by numerous customisable options. The first element is the deep width of the sofa making it idea for creating a highly comfortable area with or without back rests or arm rests. Pick from multiple lengths and a variety of leather or wool fabrics to create a sophisticated and inviting look.